Much as we love our family-friendly hotels, sometimes only a tranquil grown-up hideaway will do. From a sophisticated gem in historic Lisbon to a blissful garden hideout in Greece, Susanna Trowbridge has hand-picked our top 10 adults-only sanctuaries for romance, refinement or just plain relaxation. Hidden from the noise of the town, Likya Gardens’ modern rooms are well equipped with iPod docks and cushioned daybeds, plus each is assigned a private waterfront cabana so you can lounge beside the azure sea. For those with itchy feet, we suggest a visit to the ruins of Patara’s ancient city, where you’ll find an amphitheatre, temples and Roman baths. Relaxation doesn’t always need to be in the middle of nowhere and this chic Lisbon treasure proves it with its ruby-red rooftop pool, calming cream interiors and drenching rainfall showers. 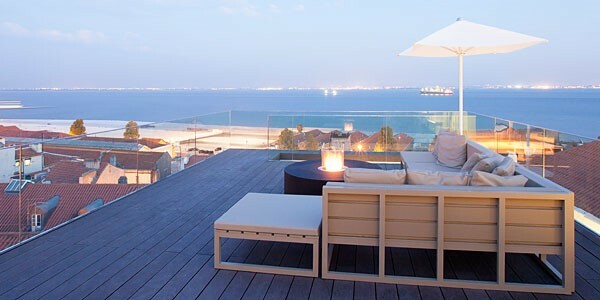 Sit atop its terrace, warmed by the fire pit, for unparalleled sunset views over one Lisbon’s few remaining archaic districts (most were destroyed in the earthquake of 1755). To learn more about Lisbon’s diverse past, join the hotel’s free walking tour around Alfama’s traditional cobbled streets – we strongly suggest you stop off at the stunning São Jorge Castle and the impressive Santa Engrácia church. 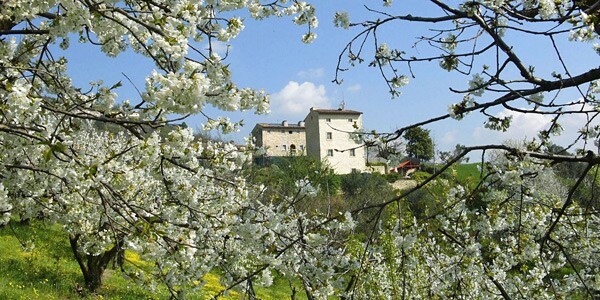 Being in the tourist-free Valpolicella wine region offers a tranquil tonic to the hustle and bustle of Italy’s more popular hubs, and this chic B&B only adds to the sense of romance and relaxation. Tucked away amongst the luscious green valleys above Verona, it effortlessly blends the classical (like shuttered windows) with the modern (such as iPod docks).To completely unwind, book a spa treatment or yoga class, and be sure to make use of the outdoor hydrotherapy pool – each i-escape couple gets exclusive use of the pool for 3 hours per day. For day trips, we recommend Lake Garda and its charming northern villages. 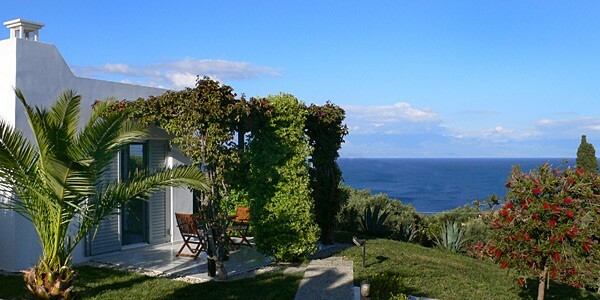 These idyllic private villas sit in a verdant garden facing out towards the glistening Mediterranean Sea, making for a beautifully peaceful getaway. The open-air bar offers a fresh breakfast in the morning and an array of drinks in the evening – both of which are enjoyed poolside with glorious views. 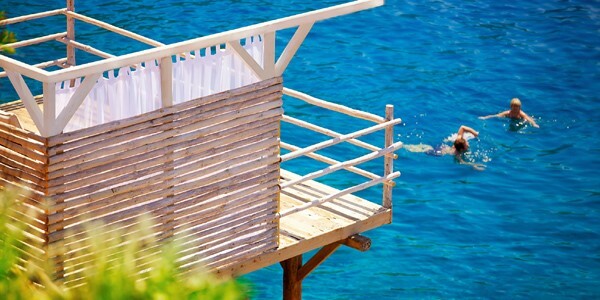 There are a plethora of water sports nearby including sailing, snorkelling and wind-surfing, and to finish off the day we recommend catching the sunset from the secluded sandy beach (just a 5-minute walk away). 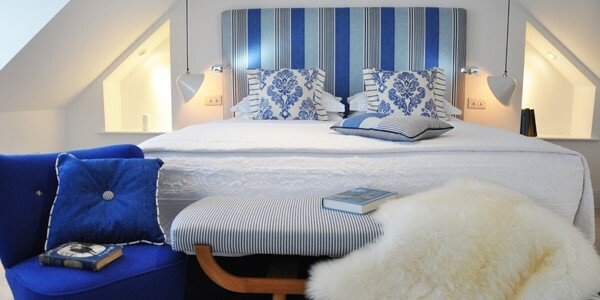 This fresh colour-coordinated B&B gives off a cosy and romantic vibe, spot-on for a couples retreat. Rooms have been individually styled with characterful vintage furniture, and spoiling touches like thick bathrobes and Neal’s Yard toiletries are sure to impress. St Ives has dozens of independent art studios and plenty of local fish’n’chip shops, plus you’re just a short walk away from Porthminster’s sandy beach. For those who are willing to make the extra effort to go somewhere completely hidden, this Costa Rican jungle resort, accessed via white-water rafting, is the perfect match. 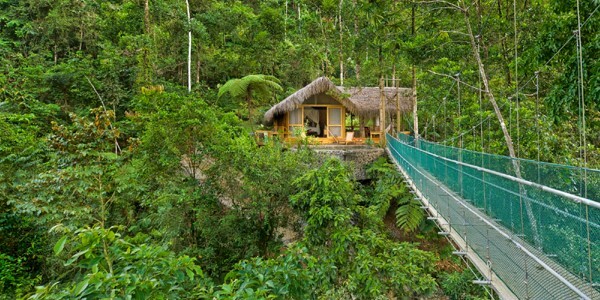 Each palm-thatched wooden cabin offers views of the surrounding jungle and those lucky enough to stay in the Honeymoon Suite will get a private plunge pool and their own suspension bridge leading to a secluded observation platform. 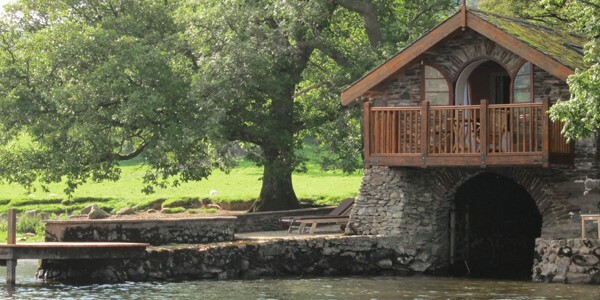 With space for only 2, you’re guaranteed peace and quiet at this beautiful lakeside boathouse. The inside is open plan, full of warm hues and includes a queensize bed for a good night’s slumber. Outside there’s a rowing boat to explore Ullswater, and hiking the woodland walk to Aira Force waterfall provides equally impressive scenery. We can’t imagine many spots better than the oak balcony for a candlelit dinner under the stars or sunrise breakfast in the morning. As the name suggests, this Spanish bolthole is perfect for a lazy getaway in the rolling hills around Vejer de la Frontera, with the Los Caños de Meca beach just a stone’s throw away. The guesthouse has 7 chic rooms and, for those wanting added seclusion and indulgence, a separate self-catering Casita with a private 11m swimming pool. The extensive grounds mean dinner always includes home-grown herbs and veg alongside the authentic tapas dishes and, once full of Spanish cuisine, we suggest you book a massage session in the garden yurt to really wind down. 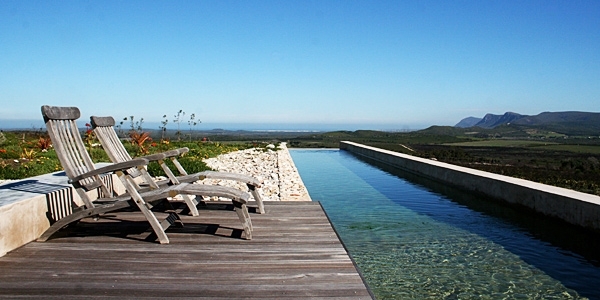 This secluded eco-chic farm sits in the wild landscape of coastal South Africa. Its private serenity is far removed from the crowded bustle of Cape Town (though only a 2.5-hour drive away) and the striking 25m outdoor pool, luxurious suites and breath-taking views make the journey utterly worth it. It’s also a hotel with a heart and the owners’ commitment to the environment has resulted in their impressive Fynbos Suites running on 100% solar energy, while waste is conscientiously reused or recycled. We suggest embracing the wildness and taking yourselves on a horse riding trail, or spending a day whale spotting from the rugged coastline.